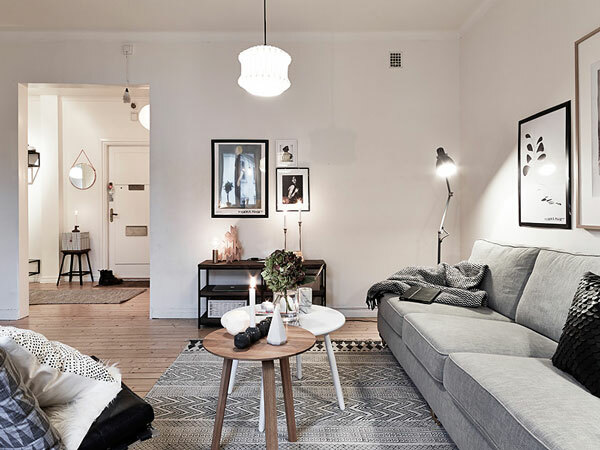 This Swedish apartment has everything needed to get through winter: warm lighting, natural and muted tones, comfy textures, etc. Definitely a beautiful home! Very nice how everything combines each coza is in place in particular I like the decor of the room look spectacular. What is the print above the dining table of the girl in the pink dress? Love! I am not sure who the artist is… But you might find something similar on Nordic Design Collective (http://www.nordicdesigncollective.com) or Wonderwall (https://www.wonderwall.se). Good luck! does anyone know what the wood floors are? type of wood? what finish? Looks like pine to me! Slightly darkened. 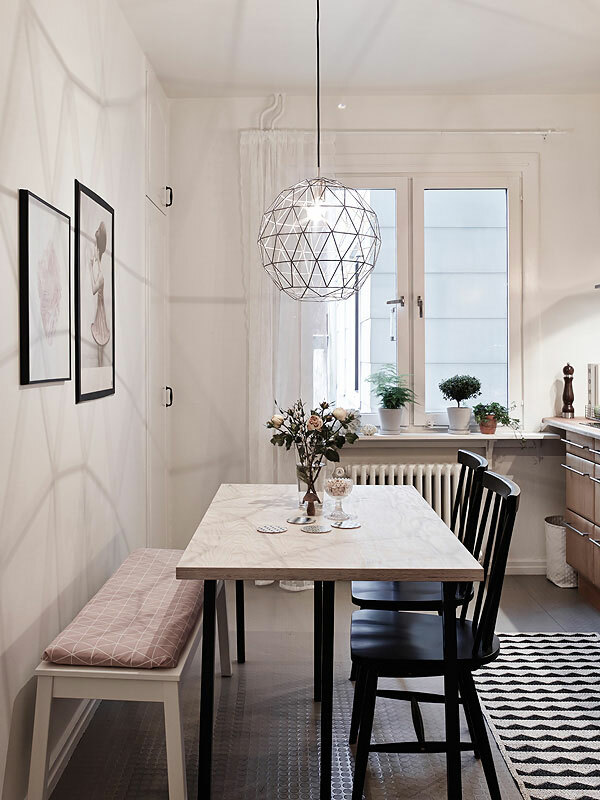 What about the light above the dining room table? Does anyone know what brand that is? Or similar lights? Ruby – it looks a lot like a lamp from Housedoctor. 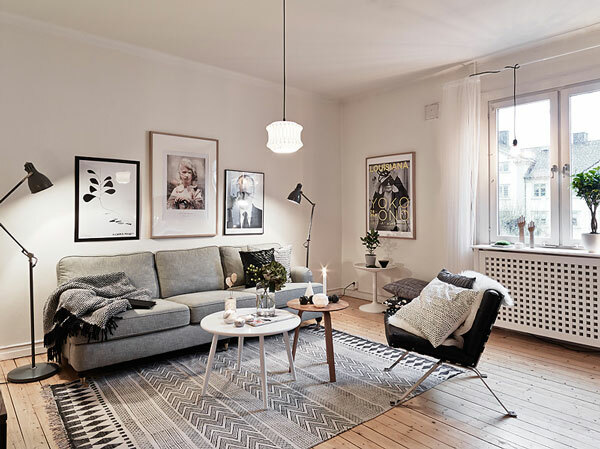 Does anyone know where the floorlamps by the couch is from? Does anyone know where can I find that gorgeous carpet from the living room? Looks like it’s from House Doctor! Does anyone know where the coffee tables are from?! 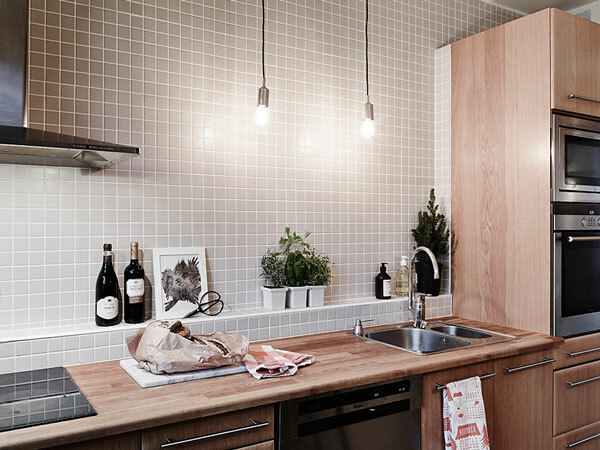 How about that awesome light fixture? Where might a girl find it?!!! 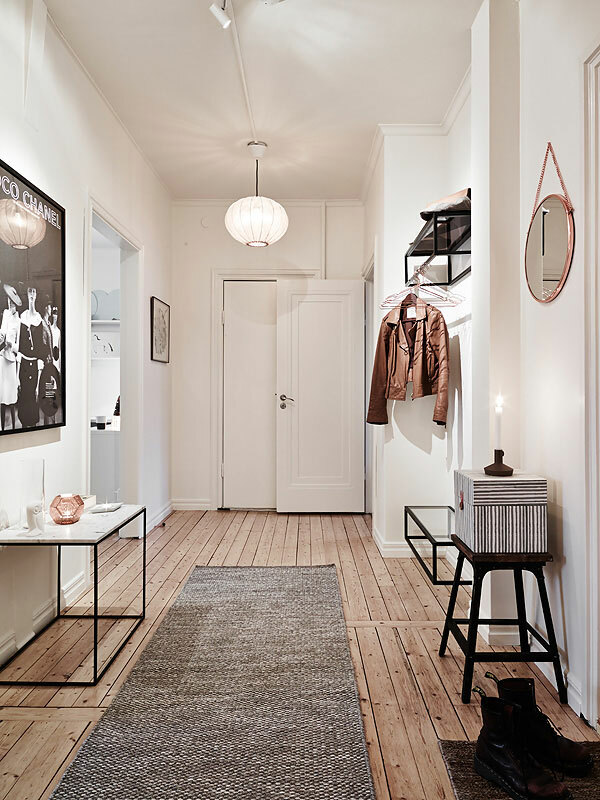 Where are the shelves from in the hallway? They’re great! Hi, Where are the shelves from in the hallway ? Where the jacket hang on? What white paint did they use throughout the hous? No way to know for sure… But I recommend Decorator’s white by Benjamin Moore for a similar look.